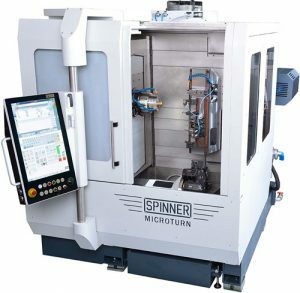 Founded in Munich in 1949, Spinner have expanded on their hard-turning expertise to produce a sophisticated range of innovative and productive vertical machining centres and multi-axis turning machines, including: 2 and 3 turret lathes, specialist hard-turning machines, BT40/BT50 VMCs and 5-Axis machining centres. All using the latest technology and built to exacting German standards. 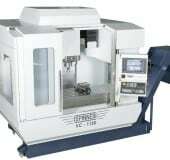 The universal lathe for chucks up to 210mm and bar machining up to 52 mm diam. The universal lathe for chucks up to 250mm and bar machining up to 65 mm diam. The universal lathe for chucks up to 250/315mm and bar machining up to 77 mm diam.